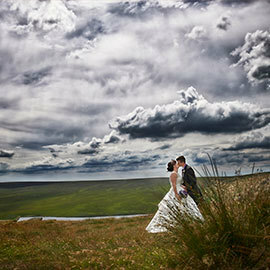 Weddings at Pennine Manor With stunning panoramic views over the West Yorkshire countryside, Pennine Manor offers a spectacular rural wedding venue within easy reach of Huddersfield, Halifax, Leeds and Manchester. 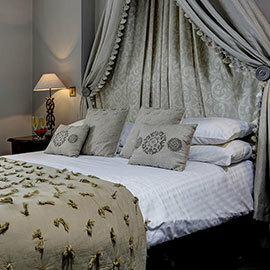 Pennine Manor has a choice of two beautiful wedding suites and has earned an excellent reputation for its outstanding guest service. We would love to show you what we have to offer, so please download our wedding brochure and get in touch to arrange a visit. Our Restaurants The Hilltop Bar and Restaurant offers a modern British menu. We are famous for our steaks which are prepared in our own butchery. We have a variety of different offers and menus including Sunday lunch and a traditional afternoon tea. Staying With Us The hotel includes 31 newly refurbished bedrooms set over 2 floors with views out over the beautiful West Yorkshire countryside. 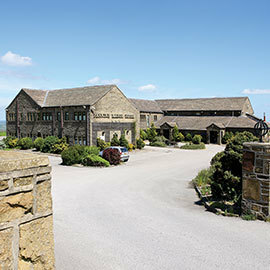 Pennine Manor hotel is ideally situated for business guests or those looking for a rural getaway. Complimentary Wi Fi is available throughout the hotel.